With gold demand rising and worldwide supply from mines forecast to decline for years to come, there is good reason to think simple market dynamics will be bullish for the gold price going forward. But if you can’t find it underground, how about underwater? A shipwreck hoard of gold, silver, and emeralds worth up to $17 billion has been found in the Caribbean. It’s a testimony to the enduring value of gold. 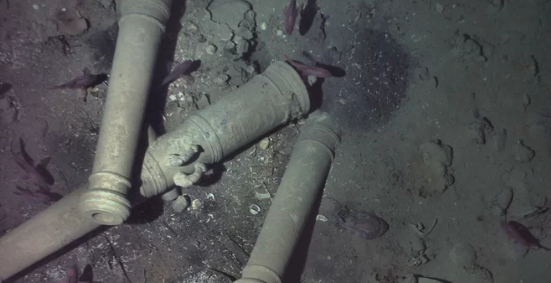 This find has been sitting at the bottom of the ocean for over 300 years, oblivious to the rise and fall of nations and empires and the emergence, dilution, and destruction of their fiat currencies. It has remained a store of value, and appreciated as such, while innumerable pretenders to the throne have come and gone. The San José was equipped with 62 guns, but it was no match against the British. Warships would have escorted the San José and its treasures on most of its trips from the New World to Europe every year. In fact, when it sank, the San José was carrying a treasure mined in Peru that, today, is worth between $4 billion and $17 billion. These riches were intended to help fuel the long-running War of Spanish Succession, a conflict the Spanish and French were fighting against the English.